The attempt by Punjab’s governing party to legislate an anti-blasphemy law has attracted criticism, as a step backward from a modern, democratic, secular republic. This, just weeks after a prominent MP of the same party accused its opponents in the Union government of turning India “into a Hindu Pakistan”. The irony, of course, is that Pakistan is among a handful of theistic states with strong anti-blasphemy laws. There lies the crux of India’s long running schism on secularism: even those who swear by it, have no compunction in blatantly flouting its basic tenets. That is because the debate has long ago forsaken any rational discourse on ideas or principles, and simply become an “us vs them” exercise in virtue signalling. And, of course, consolidating votes. To be fair, an anti-blasphemy law has existed in India since the charged atmosphere of Hindu-Muslim tensions in the 1920s, with punishment for “malicious acts intended to outrage religious feelings”. And this new bill in Punjab, after a previous one against vandalising the Guru Granth Sahib was returned by the Union government last year, is “more secular” in that it criminalises vandalism against holy books of four religions. Thus, this new draft of the bill comes closer to what has come to be the Indian version of secularism, as propagated by self-avowed secularists. This version exhorts the state to engage with and respect all religions’ practices. But that is not exactly what secularism classically meant, and still means in most developed democracies, which is to treat religion strictly as a private matter and keep church and state separate. That is, the state ought not to have views on any religion’s beliefs and practices, and should be guided solely by constitutional tenets. A key aspect of classical secularism was its co-development and strong linkage with classical liberalism. In contrast with what modern liberalism is increasingly morphing into, its classical origins emphasised not just secularism, but also freedom of speech and, crucially, the rights of individuals rather than those of the tribes, clans, groups or religions to which they belonged. In moving away from classical secularism, like their global compatriots, many Indian liberals have also gradually compromised those two other linked principles. In fact, the 1920s anti-blasphemy law was incorporated by the Raj in reaction to a pamphlet critical of Islam’s prophet, leading in the 1950s to the “reasonable restrictions” clause on free speech. Similarly, many liberals have shown themselves less committed to individual rights, even as they champion the rights of disenfranchised groups, such as caste or religious minorities. Of course, championing the rights of groups facing discrimination is laudable. Where it is less so, is when the rights of individuals within those groups are treated as subservient to group rights. That also violates the Constitution, which grants equal rights to each individual citizen. The textbook example of this dichotomy is on the issue of triple talaq. Many of the same activists who take up cudgels against discrimination faced by Muslims, and discrimination faced by women, nevertheless falter when it comes to the individual constitutional rights of women who happen to be Muslim. The problem with what passes for secularism in India is that it brings discretion and interpretation into the equation. Why, for instance, are Hindu temples administered by the government when all other religious communities manage their own places of worship? And, if the Punjab bill becomes law, will vandalising holy books beyond the four listed in it not be criminal? What if you or I founded a new religion and wrote new holy books, as we are entitled to by the Constitution? Ultimately, to be truly secular, a modern democracy has no real alternative to keeping the state out of religion. Otherwise, it must settle for an earlier, lesser standard of secularism as practised in, say, the Ottoman empire. There, the state religion was Islam but minorities were tolerated and enjoyed certain protections. They were even allowed their own laws within their communities, unless conflicts spilled over beyond their neighbourhoods. But there was no question of all its citizens enjoying equal protection under the law. 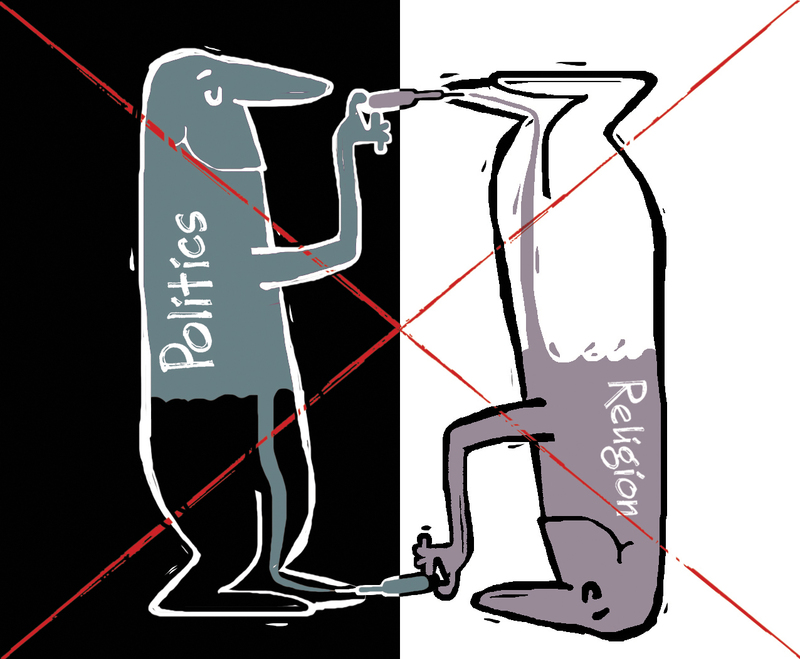 Indian secularism is caught in a bind. On the one hand, our Constitution supports the modern standard for it. And is backed by millennia of secular culture, such as the religious freedoms guaranteed by emperor Ashoka. Yet many Indians who identify as secular are fighting for a 15th century version of it, not a 21st century one. From the Constituent Assembly to the Supreme Court, this tussle has gone to extremes. The SC has ruled that practices “essential” to a religion are constitutionally protected, and has even gone into assessing which controversial religious practices are essential. Frankly, it is bizarre for constitutional judges to act as arbiters of religious authenticity. Where religious practices violate constitutional guarantees to individuals, secular states should unhesitatingly side with the latter, as for example the US Supreme Court did in overruling religious objections to vaccinations. India faces similar tests. In one case being heard now, Justice Chandrachud has said “SC judges are now assuming a theological mantle, which we are not expected to… The test should be whether a practice subscribes to the Constitution, irrespective of whether it is essential (to a religion) or not.” Exactly.